Sensei Kyle Gertner began studying karate in early 1998 at the age of 4 when a friend invited him to “Bring a Buddy Day” at the dojo. Kyle’s talent for the Martial Arts was immediately apparent. Shortly thereafter, he entered the local competitive arena. Then in January 1999, he won first place in Musical Forms at the USA Nationals in Las Vegas, Nevada. At the L.A. Open in March 1999, he beat out many higher ranking belts to win the coveted Grand Champion trophy after just one year of training. Kyle earned his First Degree black belt from Kyoshi Jason David Frank in September 2003. In December 2004, Kyle was inducted into the Junior Black Belt Hall of Fame. He then went on to earn his Second Degree black belt on his 11th birthday in 2005. Kyoshi Frank bestowed the “Sensei” title on Kyle in July 2006. In July 2009, Kyle became one of only five people in the history of Rising Sun Karate Academy West to earn a Third Degree Black Belt. He continues to train in Toso Kune Do, and has recently begun training in Machado Brazilian Jiu Jitsu. Kyle teaches classes and private lessons at the dojo while maintaining a 4.5 GPA in high school. Kyle owes his passion for the Martial Arts to his first instructor, Sensei Erik Frank, and to his current instructors, Kyoshi Jason David Frank and Sensei Randy Word. 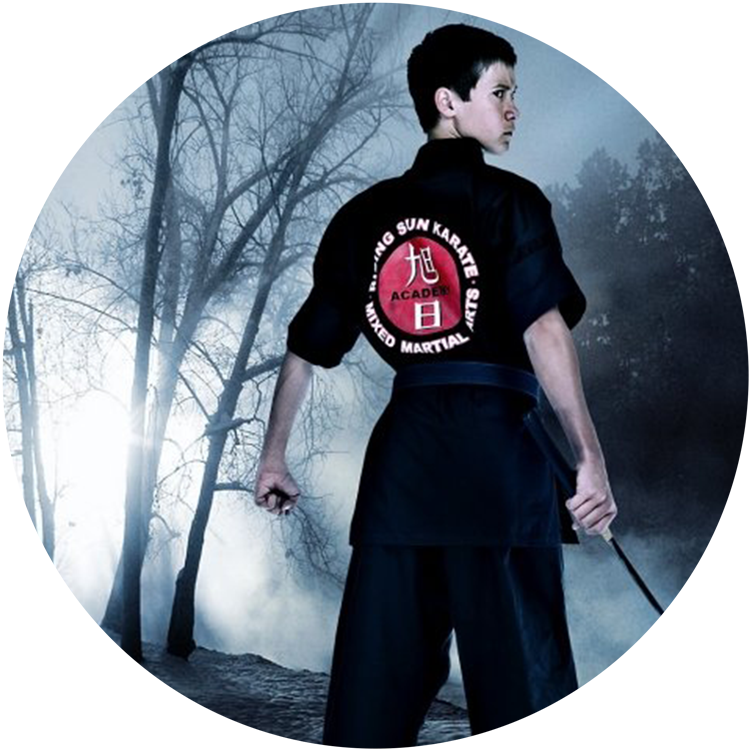 Kyle strives to be a positive role model to other children, and he is a great example of how dedication, discipline, and leadership result from the study of martial arts.